So, I'm not a winter person. I like snow for Christmas, but once the New Year starts, I want it to be Spring already! 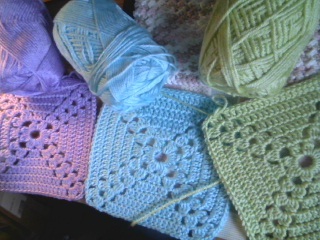 So, I got a little ahead of it and picked up some Bernat Satin (my FAV yarn) in beautiful Spring pastels. 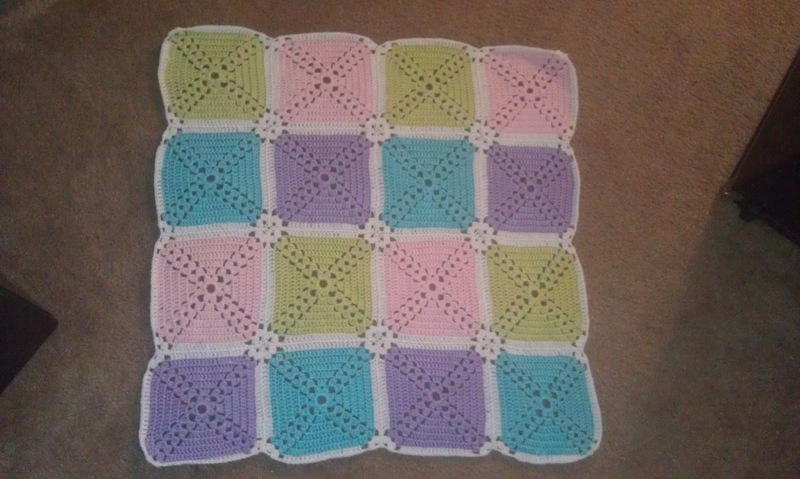 I made some Granny Squares and then pieced them together. I love to make Granny Squares but I just really don't like to put them together, it's so tedious.